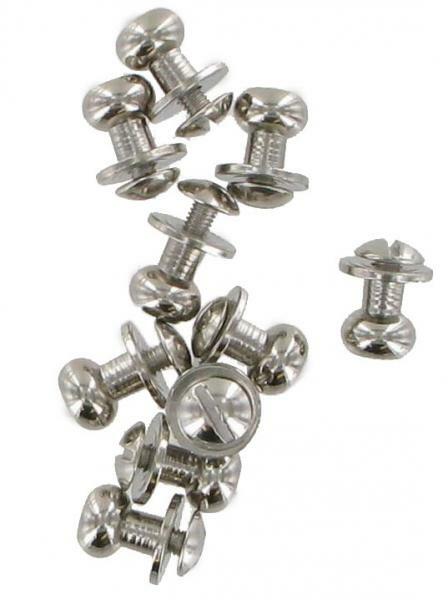 Pack Of Ten Polished Chrome Sam Browne Studs Large. These Sam Browne studs have a polished chrome finish and are useful for attaching/ shortening straps e.g. those on handbags, gun slips, cartridge bags etc. They were originally used on the army's Sam Browne belt. The halves of the studs simply screw together. We recommend the use of a drop of Threadlock to keep the parts together, if the positioning is to be permanent.